I bought this bowl at a local auction house. For me it was the best deal of that year. The auctioneer made a mistake and sold it far below the minimal price. It came even with a good provenance; a top dealer from Amsterdam. The bowl has a diameter of 18 cm, and stands 7,6 cm high. A brown glaze coats the brown/gray clay, appearing caramel when thin, and black when thick. 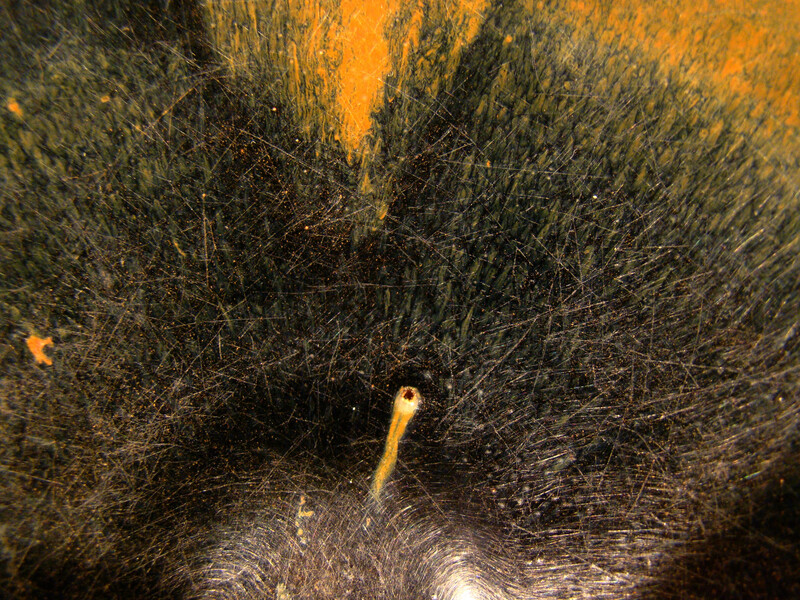 Three brown marks in iron oxide in the inside. 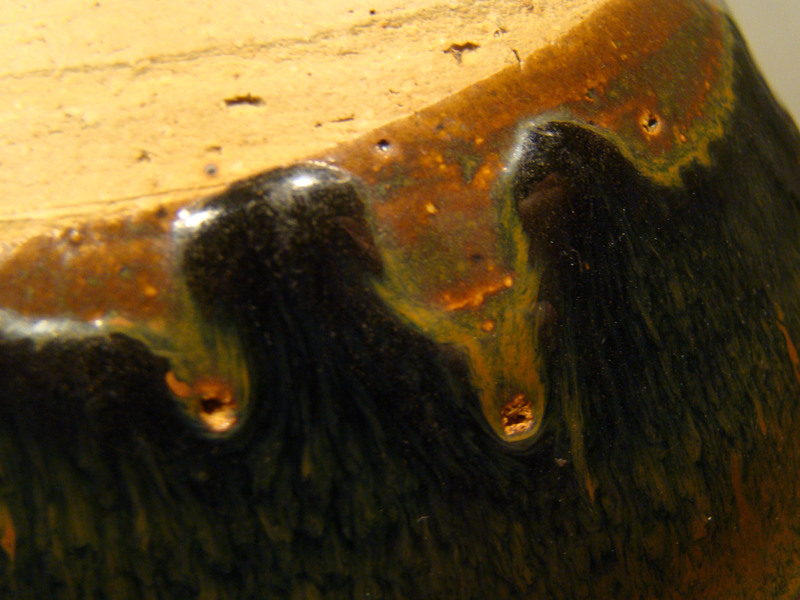 The bowl shows a ‘hare’s fur’ in the glaze. The clay is quite coarse, but feels smooth and oily. These bowls are described as Northern black ware of Cizhou type, Jin dynasty 12th-early 13th century. The bowl was dipped in the glaze, and when dried the brown markings were put on. They were probably made in Hebei or Henan province. This shape of deep bowl is sometimes called Bo. 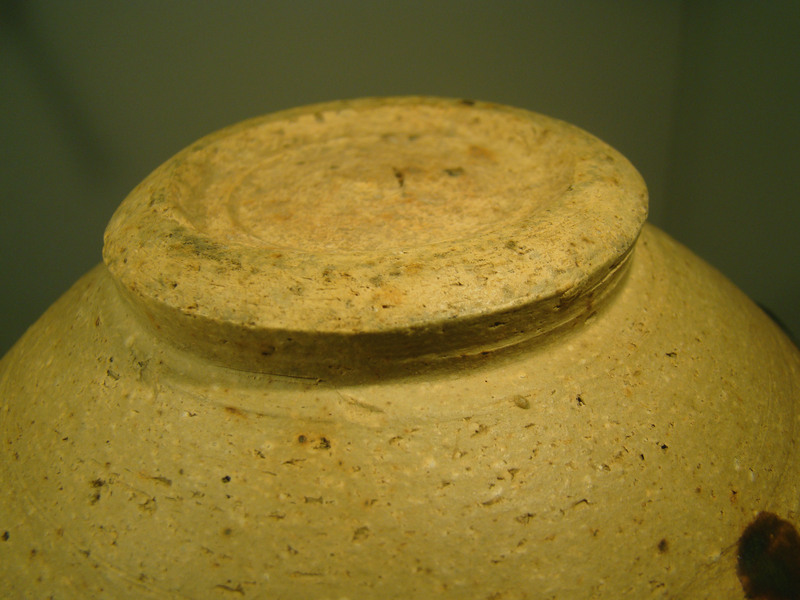 The random scratching of the glaze is a good way to determine authentic wares from the fakes. These fakes are sometimes scratched, using sanding paper, which appear in more or less regular patterns. These bowls were turned on a potters Wheel. are trade eseccially in Holland. This bowl is 100% o.k. It has a good provenance, and has all the good signs for being old. There are a only a few dealers in Holland I trust. Auctionhouses are very problematic. You can sent me pictures and info from your piece to me, I ‘m happy to take a look.